You may have noticed that recently I have been using more coconut products in both my baking and cooking. I cannot believe it has taken me so long to discover the delicious flavours that coconut adds to dishes. I have always like coconut but now I am enjoying it in a greater variety of foods. 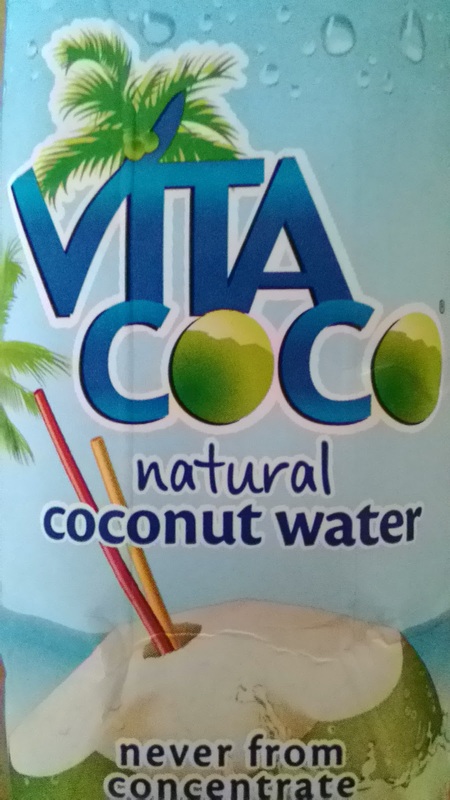 So when Vita Coco asked me of I would like to create a cocktail using their coconut water you can imagine how pleased I was! "As natural as natural gets"
The ingredients are simply 99% coconut water and 1% natural fruit sugars! It really is that pure, each carton is simply full of goodness. As it says on the carton it is "like sticking a straw in a coconut!" When is came to deciding what cocktail to make I decided to give a traditional cocktail a little twist. 3 - Stir, serve and enjoy! I love the traditional combination of pineapple and coconut, it really is one of my favourites. With this cocktail I decided to use gin instead of the traditional white rum that is usually used for a Pina Colada cocktail. This was purely down to my preference of gin and wanting to try something different. From now on I will definitely be enjoying my Pina Colada with gin and Vita Coco! The great thing is that this cocktail can also be made for children and anyone that does not drink by simply leaving out the gin! Disclosure: I was sent some Vita Coco natural coconut water cartons for the purpose of this post. No cash payment was received. All views and opinions are my own and 100% honest.